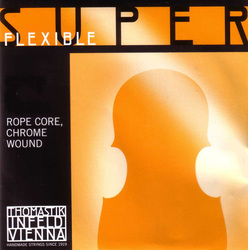 Superflexible can be regarded as a budget version of Spirocore. The metal rope core reduces elasticity and together with durability produces a good all round budget string. They are popular with players of traditional and electric music.